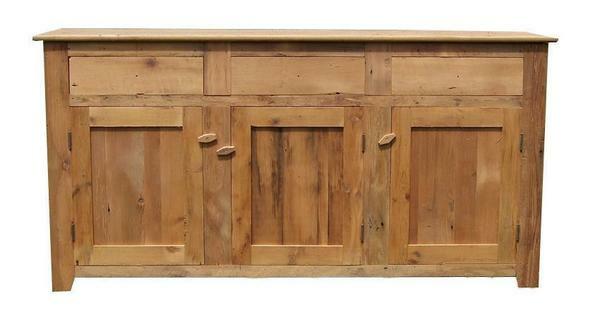 Channel rustic charm with the help of our Amish Reclaimed Barn Wood Candies Buffet. A scrumptious meal will become that much more appetizing when it is placed atop the beauty of this piece. Create an inviting look with the character of 100-year-old barn wood. This buffet will tell a story that other furniture just doesn't have. You'll be able to marvel at the various marks that this piece has acquired over the years. Bring the beauty of nature inside your home and enjoy the craftsmanship of seasoned Amish woodworkers. Best of all, you'll be able to appreciate this piece for many years to come. Please feel free to give us a call at 866-272-6773 with any questions that come up.